Lindsey Vonn will return home to the Vail Valley for next month’s World Championships with a record 64th career victory after taking a strong win Sunday over Austria’s Anna Fenninger in a World Cup super-G in St. Moritz, Switzerland. 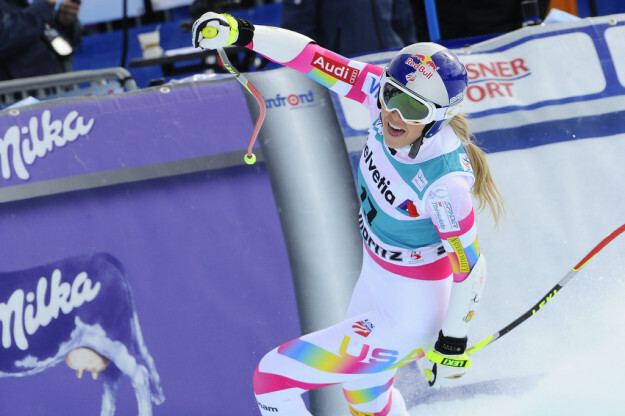 Vonn posted a .24-second margin for the win, coming just eight days before she will step into the super-G starting gate at World Championships on Tuesday, Feb. 3. Her win came a day after a big mistake in the downhill dropped her from podium-challenger to 23rd. The win carries Vonn into her hometown of Vail on a high note, heading back for some relaxation for a few days and final training for the Feb. 3 super G opener at World Championships. The Olympic gold medalist and two-time World Championships gold medalist has now won five races this season, including the last two super-G events. The opening ceremony is set for Monday evening, Feb. 2, with women’s super-G the next morning. NBC and NBCSN will carry all of the action live.